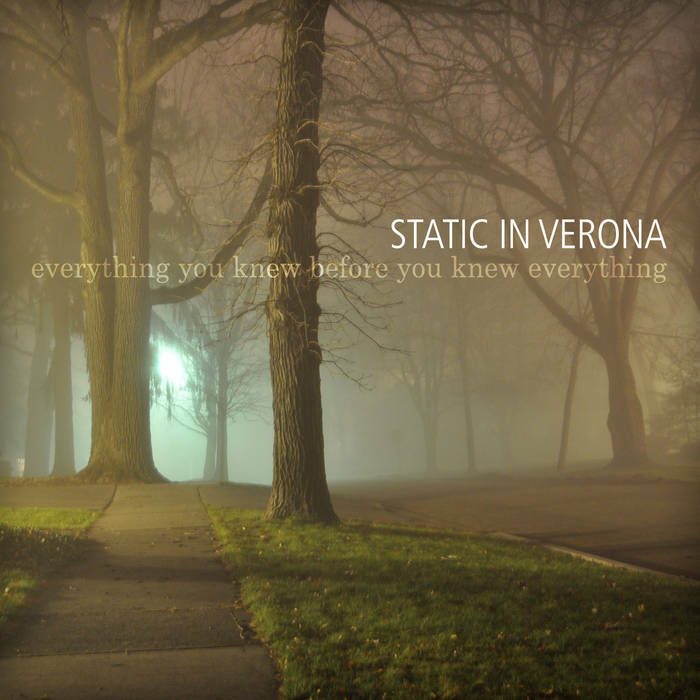 Static in Verona is the moniker of Chicago musician Rob Merz, a creative endeavour bringing electronic and experimental elements into a predominantly indie pop sound. After a stint in other musical projects, this is Merz’ own solo work with every element – writing, performing each instrument, production and artwork in his hands. With album number three only weeks away, a well overdue listen to Everything You Knew Before You Knew Everything seems in order. In some ways, it’s a mammoth listening effort with 15 tracks in tow, but this was clearly designed to be listened as a whole creative output, garnering from the prologue and epilogue in place. Irrespective of intentions though, there are a few stand out tracks that have merit in their own right. Bitter Branches is a dreamy indie pop number, with sweet harmonies intertwined with a burst of guitar and electronic layers. For more depth, White Knuckles creates a monumental feeling through sound and contrasts against the lighthearted fun and energy of Roman Candle. Friendly Fires takes a cue from indie rock and Blindfold seems to take on lush layers of pop and doo-wop styled melodies for a flash back in time before a classic take on layered sounds in the dreamy pop filled Looks Like Gold.